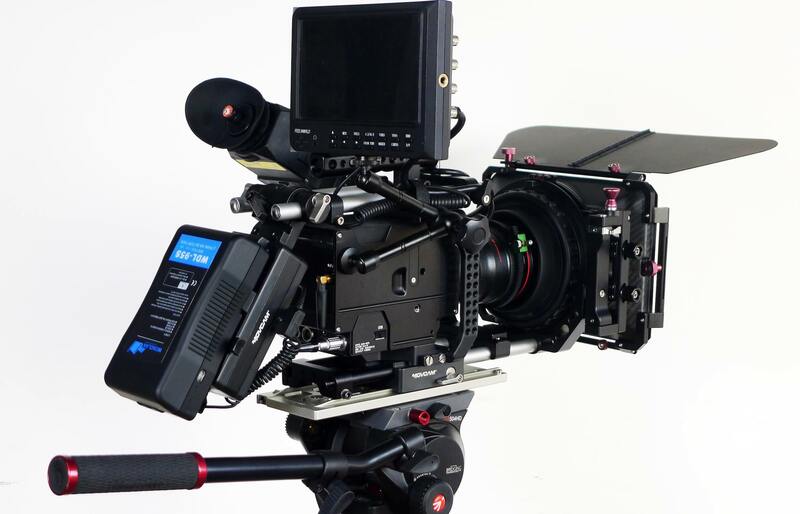 4K RAW KineMINI is capable of Capturing and Recording 4K Uncompressed CinemaDNG and 4K Compressed CinemaDNG, In-Camera, without external recorder. New 4K OLPF is re-designed and optimised for 4K capturing, and also it makes images sharper even just capturing and recording 2K in-camera. 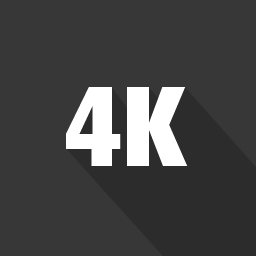 4K RAW capturing and recording leaves very large room for reframing, trimming, and CG, even not for 4K delivery. 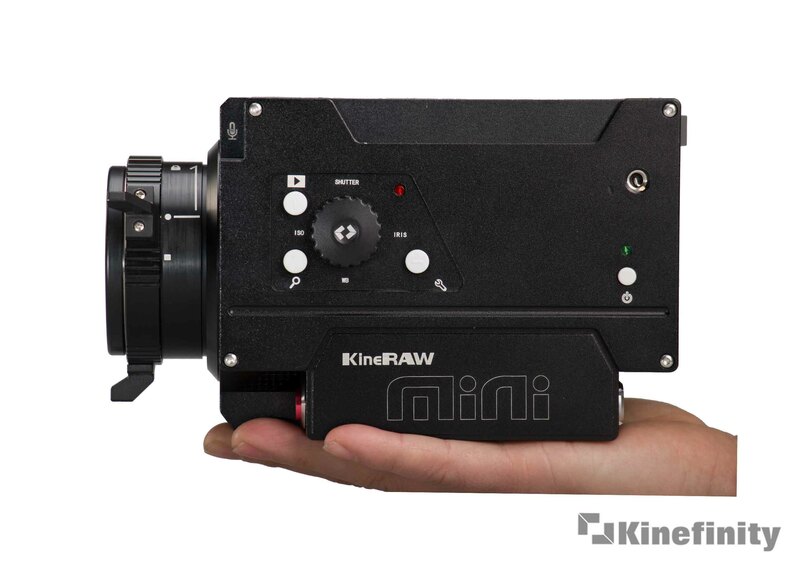 KineMINI may be the most compact cinema camera for 4K RAW capturing now. It can also support 3K Wide@60fps too. 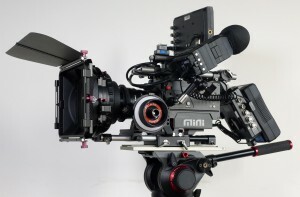 HiSpeed100FPS SLOW-MO KineMINI has the power of capturing 96fps@1080p and 92fps@2K, at S35mm framing size, and can up to 120fps@1080p 2.39:1 Flat, No cropping, and No limitation on recording time. 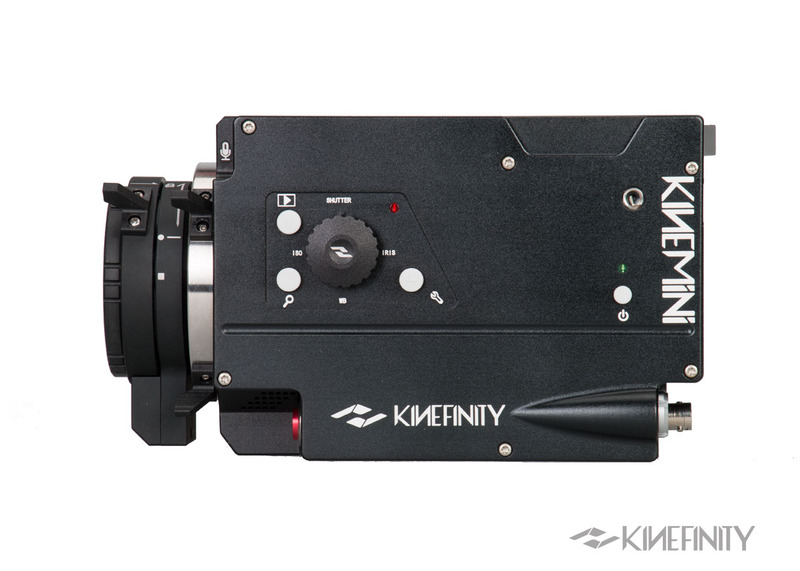 Even you don’t buy the HiSpeed option, the KineMINI is also capable of slow and quick motion capture (overcrank and undercrank): 100fps @ 720p when in S35 framing; and fps up to 48fps @2K and 50fps@1080p when in S16 crop framing mode. As of undercrank/quick-mo, the lowest fps is down to 6fps under current firmware. You can set any custom sensor fps between lowest and highest fps, the accuracy is 0.001fps. 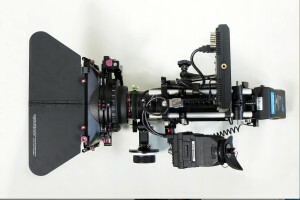 3K 4:3 Anamorphic Native 3K 4:3 frame as 2880×2160@30fps: Aspect ratio of 4:3 matches anamorphic lens with factor of 2, so that it will gain CinemaScope frame as 8:3(2.66:1). With the process in post-workflow, it can reach up to 5760×2160 (6K) CinemaScope! 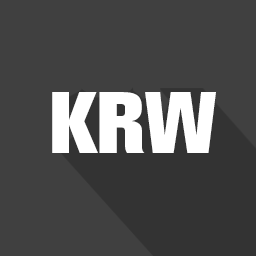 KineRAW codec KineRAW (.krw) codec, cinema-level codec is developed by Kinefinity with great efforts and resources. Average compression level is 2:1~3:1, lossless compression algorithm: it remains whole information of original image, there is no color sampling and loss. The 240GB KineMAG SSD could record around 45 minutes 4K RAW clips with its date rate close to ProRes422HQ. It can be transcoded into Cineform mov for Cineform workflow and CinemaDNG for CinemaDNG workflow by KineStation ; It really fits 4K, 5K, 6K recording and HiSpeed recording, saves much more storage room, for easier data backup. 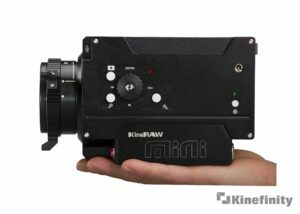 Built-in Cineform RAW The KineMINI can record the 2K Cineform ™ RAW at real time, online now. 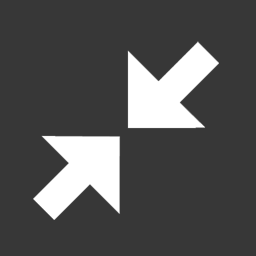 Cineform RAW is as compressed raw using very high quality wavelet compression: visually lossless, and making work-flow more efficient. The famous films like Oscar winner Slumdog Millionaire were acquired by CineForm RAW compression for most images, and also the 127 hours. 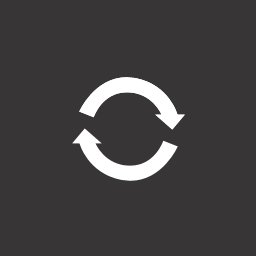 Cineform codec is cross-platform: run on both MAC and Windows smoothly and efficiently. Nearly all commercial editing tools and grading tools like Final Cut Pro, Premiere, Speedgrade, Resolve, Scratch etc. 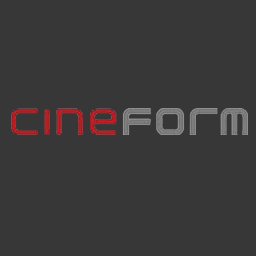 support Cineform very well. Note: 4K Cineform RAW mov CAN NOT be recorded online. KineStation New KineMINI, Free KineStation. 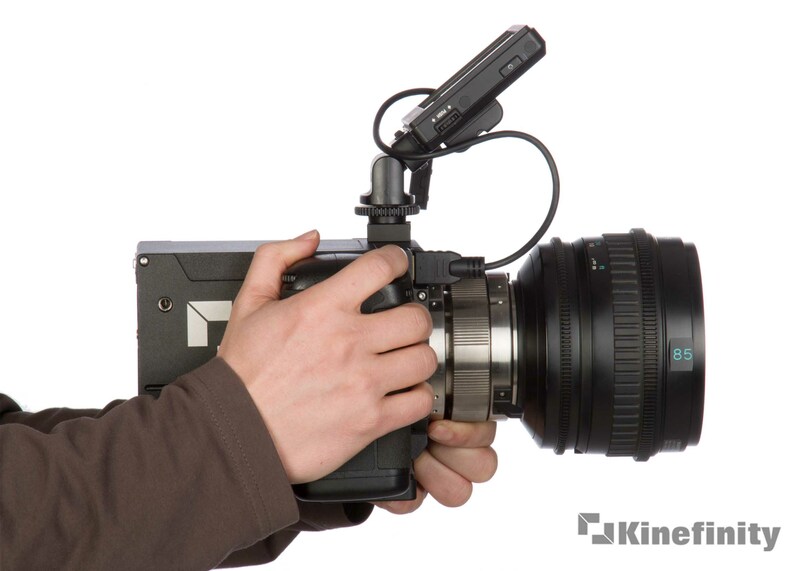 KineStation + KineCamera = Kine Hybrid System (KHS) . Kine Hybrid System (KHS) is designed to make frontend capturing and backend processing for high-efficiency post workflow. Kine Cameras as frontend capturing tool as RAW to remain Maximum details and latitude, and KineStation as backend bridge running on PC or MAC to post workflow. KineStation can transcoding KineRAW(.krw) and/or CinemaDNG into Cineform RAW/RGB444 to match your favourite workflow. The KineStation will integrate more codecs like DPX, H264, H265 for different controls from RAW into RGB domain, LUT options for quick output. 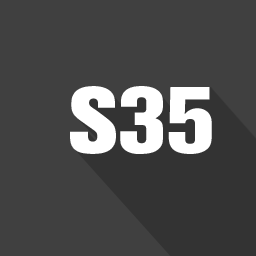 S35mm KineMINI is a Super35mm sized CMOS sensor camera with outstanding low light performance for HD use as well as for making DCP for projection in modern digital movie theatres where signal to noise ratio under difficult lighting conditions is very important. In the case of shooting feature motion pictures and commercials with ample lighting, the camera can be used as a normal movie camera would be for the cinematographer take advantage of the camera’s wide exposure latitude and ISO range from to get textures from silky fine gain to gritty as needed. 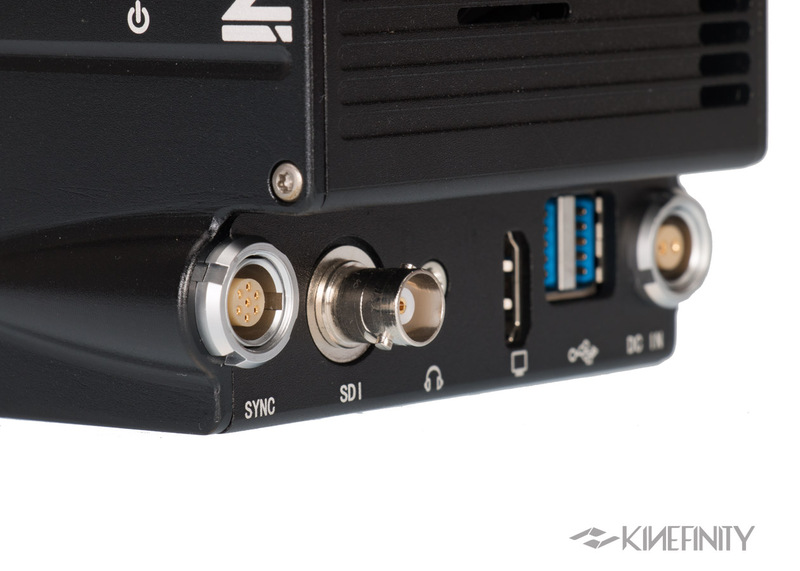 3G SDI and HD Digital Ports KineMINI outputs monitoring signal as 1080p/720p through One SDI and Two HD digital ports, so that you can use compatible third-party EVF like Cineroid EVF/Alphatron EVF, small field monitor like SmallHD monitors and broadcast monitor with SDI input like Zunzheng Monitor. For focusing, the camera’s zoom function can be Full/100%/200%, and even 800% to make focusing job easier. The in-camera waveform monitor and zebra can monitor the RAW signal or “look” LUT so that it helps you better exposure and avoid over-exposure. NEW LOCK-TYPE EF MOUNT KineMINI camera employs whole new lock-type EF mount from 2014 Jan. Its fixing way is very similar to Cine PL mount: lock ring rotation, not lens rotation to make sure EF lens locked firmly and to be contacted well with pogo-pin contact inside of EF mount in any case. Compared to traditional lock way based on spring metal, the new EF mount gains much better stability; fits very well in professional way when video shots using follow-focus gear. FLEXIBLE MOUNT OPTIONS Two Native Mount options: EF mount and KineMOUNT. MINI with Native EF weighs less than KineMOUNT version, while KineMOUNT version (Interchangeable Lens Mount system) is more flexible for fast changing mount like changing a PL mount lens, such as EF mount with electronic contacts to tuning aperture, PL mount and Nikon F mount. 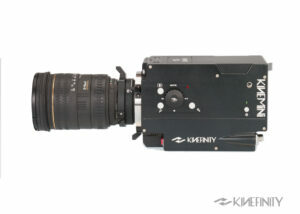 FFD of KineMOUNT is very short, and used in KineRAW-S35 too. SPORT MODE KineMINI features sport mode which reduces rolling effect greatly, seems like global shutter. KineMINI employs state-of-art CMOS sensor, which is rolling shutter type, then suffers some rolling effect. Sport Mode is designed to alleviate the rolling greatly, and make KineMINI handle quick movement shootings, like handheld, shots on shoulder, documentary style. The footages would be turned into Cineform RGB444 mov after KineStation transcoding. Sport Mode works on 2K and 1080p. CINEMADNG CinemaDNG ™is frame-based, just like Film. CinemaDNG™ offers maximum image quality and license free archive of your shots as “Digital Negative” that can be processed any way you like and be archived in an “open file format” that can be accessed and supported for all time to come, no matter what happens. CinemaDNG ™ is Adobe ™’s format for saving motion picture digital negatives the digital equivalent of motion picture color negative film (not necessarily the equal in all respects as that depends on the sensor used and how the recorded data is processed, just as the results of movie film depend on how it is processed). KINEMINI = RAW + LOOK What the KineMINI records are 12bits RAW image data plus it makes a 3D-LUT to match the “look” used for monitoring when shooting. The wonder of KineMINI is that you can always re-process any shot using a different grade by way of just changing the 3D-LUT used for processing. Loading the 3D-LUT made by the camera for color matching, such as when using in camera ‘looks’ KineLOG/KineColor/Kine709, you can quickly intergrate footage from the KineMINI with your existing Cineon ™ film log, HDTV or VFX worklows. 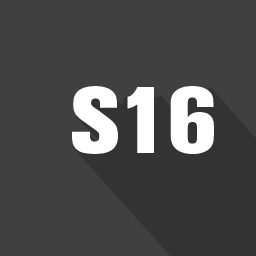 S16mm MODE S16mm mode is designed to use the centre of image sensor which is 4K S35mm sensor in KineMINI to match S16mm frame size. Since it is 4K S35mm sensor, it turns into 2K when cropped in S16mm mode. 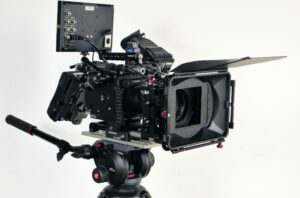 In this S16mm mode, you can use S16mm PL cine lens, even the broadcast B4 mount lens, to shoot in 2K RAW image, with less rolling effect, and overcrank to 60fps@2K RAW. 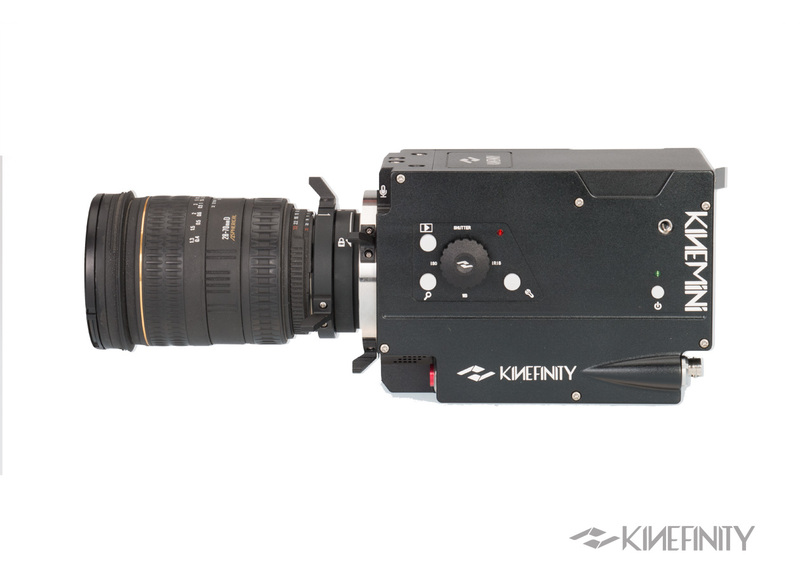 LIGHT-WEIGHT AND COMPACT Small as 1/3 of KineRAW-S35, and Light as 1/2 of its big brother. With handgrip and its battery, it is very convenient for different environments you want. More light-weight, more compact consume less power, energy and errors, especially for one-man band. And there are two color options for camera body: Black and Titanium Grey. 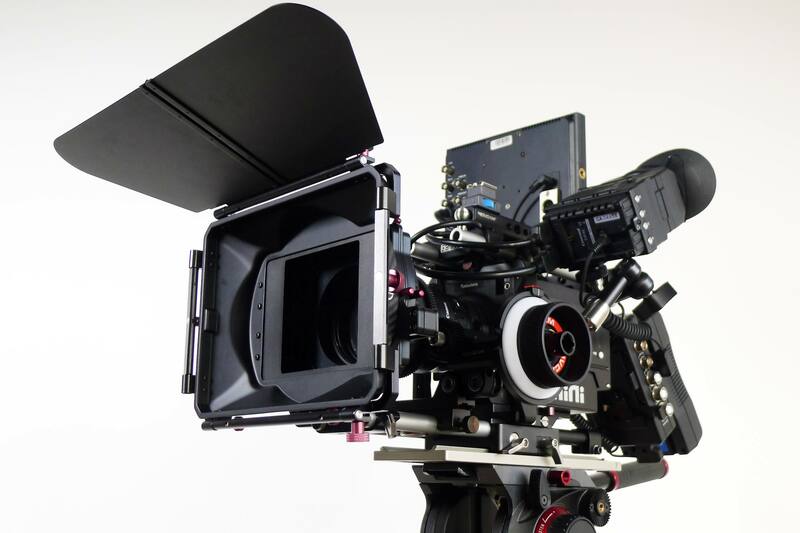 KineMINI™ is a powerful and versatile tool for 35mm like Cinematography while still being self-contained and really portable. It’s a serious film-making tool with real Digital Cinema Camera features at an affordable price. Note: All trademarks mentioned belong to their respective trade mark holders and companies, and are not necessarily affiliated with our company and may not endorse our products or the use of their products with our products. Frame Rate can be adjusted as 6~MAX fps, step accuracy of 0.001fps. Any other trade marks belong to their respective owners. 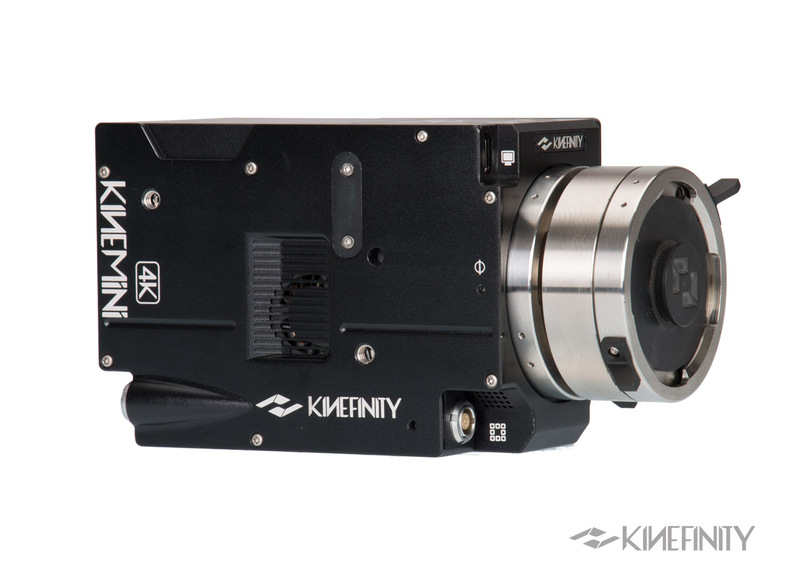 KineMINI’s native frame is 4K S35 so that there are many recording options on framing and resolutions: S35 4K RAW recording, S35 binning 2K RAW recording, S35 HiSpeed 2K RAW recording, S35mm Skipping 720p RAW recording. 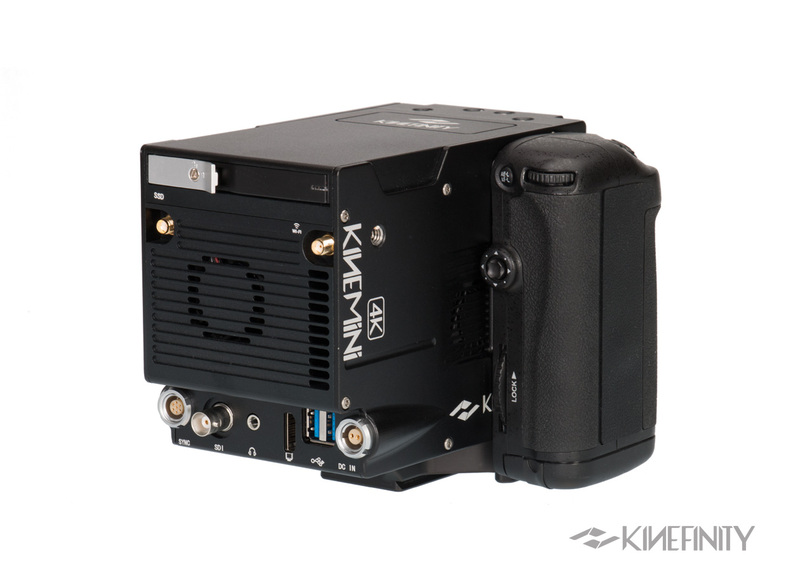 Since KineMINI supports cropping mode, the frame can be cropped into M4/3 3K up to 60fps: 2K @60fps S16mm image output (crop mode), 720p @60fps S16mm (binned). For 2K S35 frame, DSLR lens and PL cine lens are used; for 2K S16 frame, B4 mount lens and even S16 cine PL mount lens are reborn to work for you. KineMOUNT to B4 and PL mounting adapters built in steel handle heavy PL lens and B4 mounting lens easily. At same time, it powers the zoom servo motor. KineMAX features three great RAW options: 6K KineRAW, 4K CinemaDNG and 3K Cineform RAW, choose Cineform or CinemaDNG based on your post-workflow. From the frontend, there is no difference, but the speed of consuming SSD in CinemaDNG is much faster than KineRAW and Cineform. KineStation can transcoding KineRAW and/or CinemaDNG into Cineform RAW, RGB444 to match your post workflow. 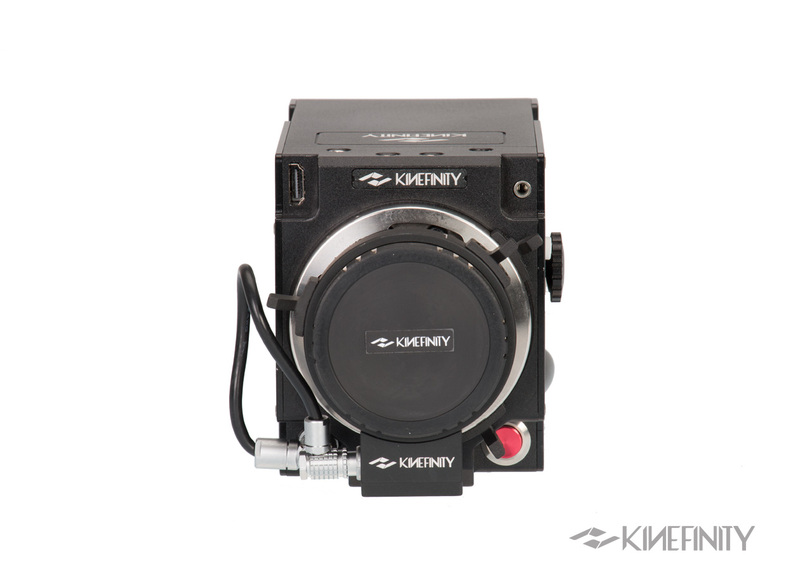 KineMINI provides accurate Automatic WB, so that you can deal with complicated lighting environment easily. Just use grey card or white card before lens, to set the WB accurately instantly. 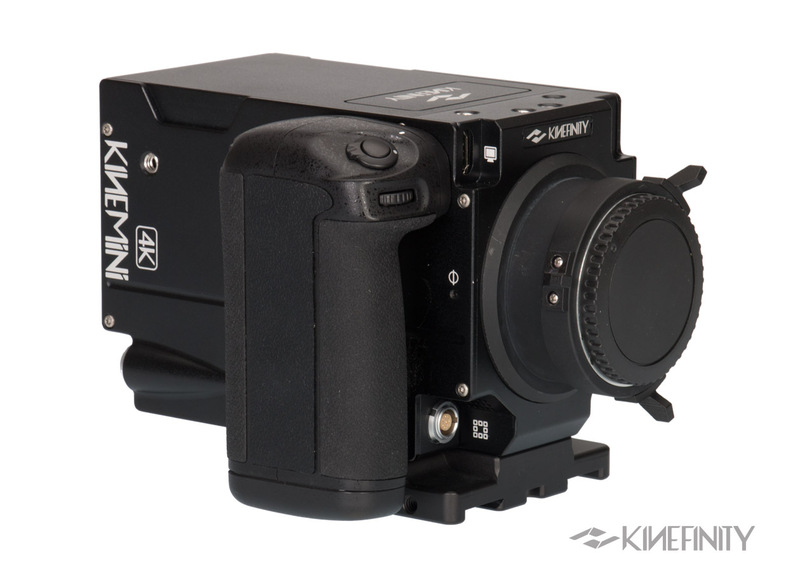 KineMINI would save the parameter into camera for later usage. Besides, KineMINI has two options for white-balance list: simple list and complete list. The complete list contains a long list for different lighting and different WB value (step is 50K) . For most cases, an appropriate WB setting you could find to match your condition. Also named as HiSpeed Mote. 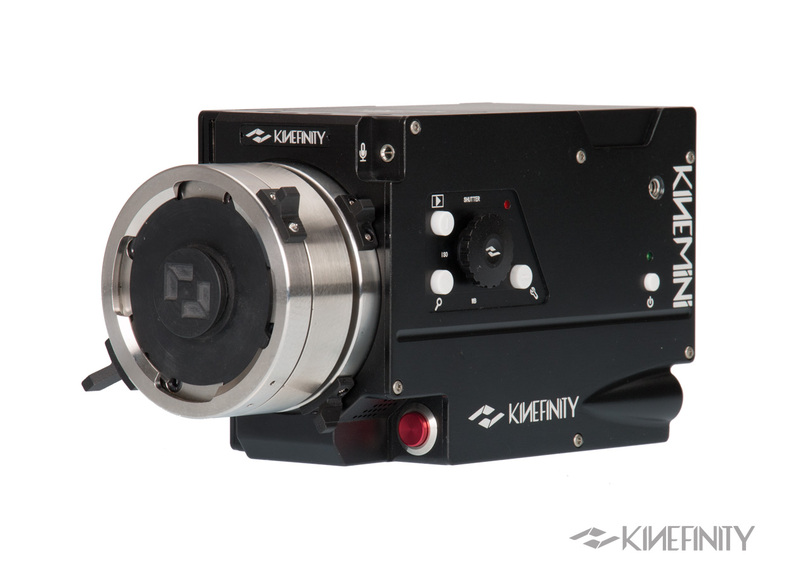 KineMINI features sport mode which reduces rolling effect greatly, seems like global shutter. Sport Mode is designed to make KineMINI handle quick movement shootings, like handheld, shots on shoulder, documentary style. 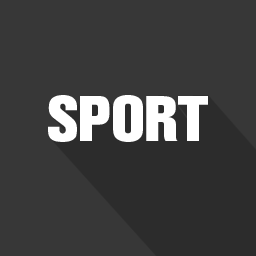 Sport Mode supports 2K and 1080p recording. 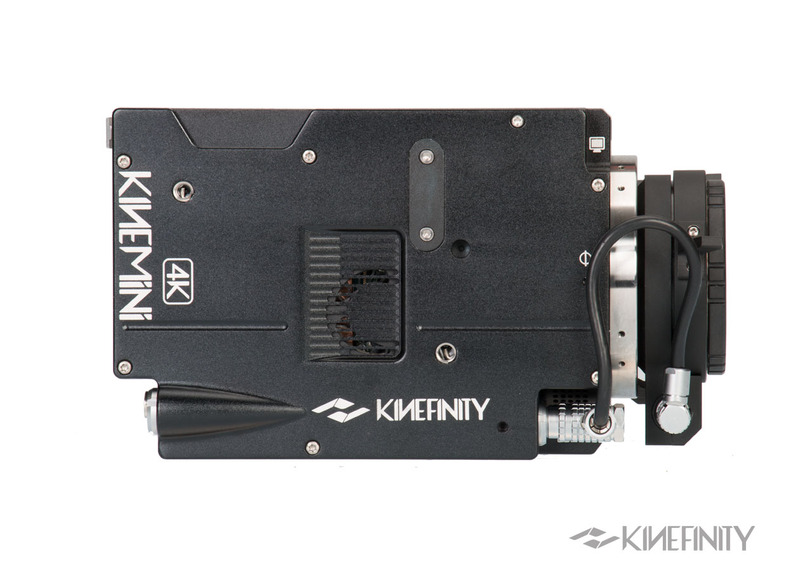 KineMINI is capable of slow and quick motion capture (overcrank and undercrank). As of overcrank/slow-mo, it supports high fps up to 120fps @ 2K Wide when in S35 HiSpeed mode; and fps up to 60fps @3K Wide when in M4/3 crop framing mode. As of undercrank/quick-mo, the lowest fps is down to 6fps under current firmware. 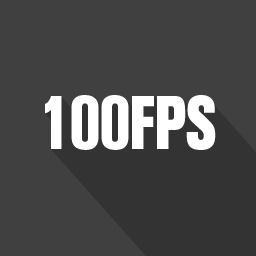 You can set any custom sensor fps between lowest and highest fps, the accuracy is 0.001fps, while recording fps is set by project fps in the camera. It provides much more possibilities over fixed fps like 24, 25, 30fps. EI/ISO is a setting on capture abilit of Image Sensor. KineMAX™ can config in two ways: EI to match film camera setting; ISO to match general camera setting and highlight level can be tuned at the same time. KineGrip provides not only power to KineMINI, but also provides full control. The battery inside of handgrip is Interchangeable, and provides around 60~90 minutes of powering KineMINI. 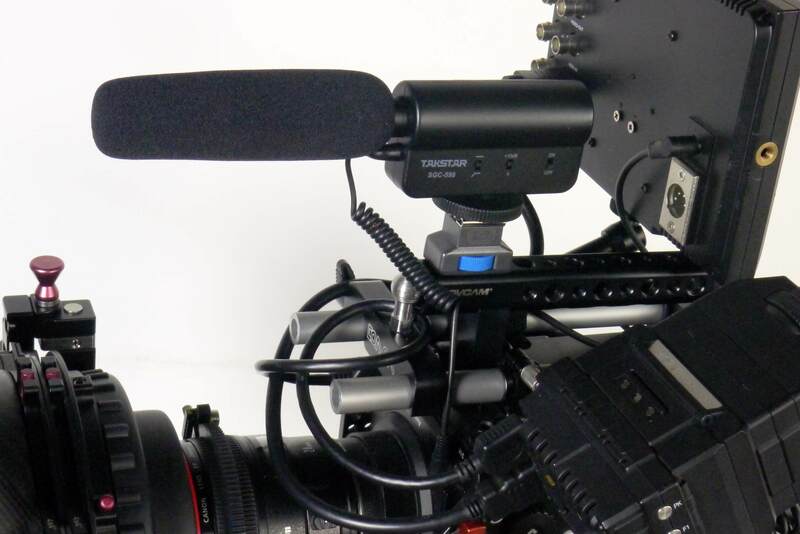 KineMINI can switch handgrip battery and external power like broadcast battery or DC IN, smoothly and hot-swap, like UPS. The dials and buttons on KineGrip can control Iris (if EF lens), ISO directly, and other camera parameters. KineMINI can playback/delete clips recorded in SSD quickly in smart way. You can check the waveform, histogram and Zoom focusing when playback, like you do in live view. 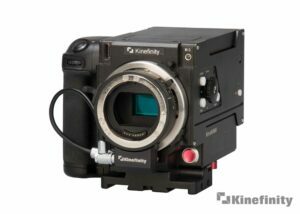 KineMINI has waveform in-camera: you don’t need to buy monitor with waveform. Using waveform, cameraman can judge exposure quickly and accurately. The difference between KineMINI and other camera is that KineMINI has two ways to examine the exposure: just RAW data or RAW+LUT data. 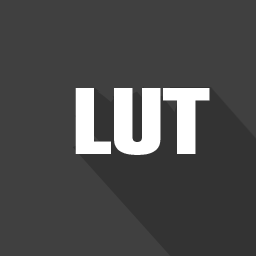 RAW data is what sensor sees directly; and RAW+LUT data is more like human eyes, in waveform and histogram. KineMINI can take real 3D shots. Just one SYNC cable to connect two KineMINI SYNC port, set up Master and Slave instantly. 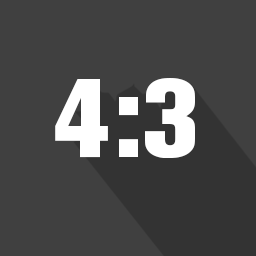 3D SYNC means: Scan sync, frame sync and time code sync, less than 5uS of mismatch! KineMINI integrate not only histogrm, but also special tick mark. The tick mark has two ticks: one is grey, the other is white. That means 18% grey and 90% white respectively. The exposure level would lie on the grey or white tick if you use 18% grey card or 90% white card before camera, and set ISO, Iris and shutter time accurately, based on lightmeter. Like waveform, histogram also shows RAW or RAW+LUT data automatically. KineMINI provides Zoom to help focusing: full, 100%, 200%, 800%. Just press the Zoom button to toggle zoom ratio quickly. Zoom to 800% provides an interesting focusing signal: aliasing clear means focusing right. KineMINI has in-camera fan to cool the camera itself and make camera work well in stable condition. Fan generates noise. You can choose Record Stop in Fan setting to make FAN stop works temporarily: Fan works when live view; Stops when recording begins so that it is totally quiet when recording. It is very important in quiet environment, and sensitive to any audible noise. 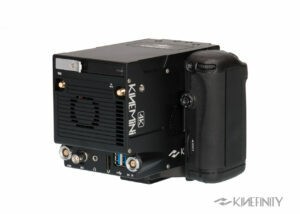 KineMINI supports 2.39:1 liveview and recording natively, including 4K, 2K and 1080p resolution. 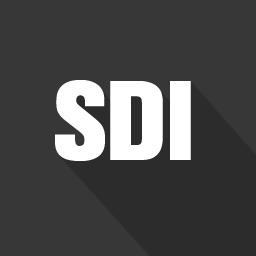 2.39:1 is DCI flat standard, which is often used in short film and cinema projection. If you have anamorphic lens and want to give super wide effect, KineMINI camera can fullfil the dream. KineMINI supports anamorphic lens in live view and playback, just setting the display ratio according to your anamorphic ratio. For example, you will get 3K: 1K image effect if you use 1.5:1 anamorphic lens in 2K shots. 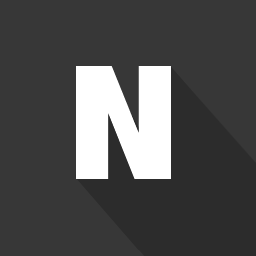 All you have to do is set the anamorphic ratio in configure menu. KineMINI functions more than just a data table, by updating firmware. Updating firmware is easy and quick: less one minute, the update job is done. 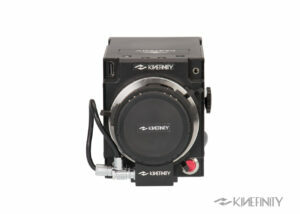 KineMINI supports majority of lens with iris-control as soon as you buy active EF mount body or EF mounting adapter. KineMINI displays Iris number and tune it directly. 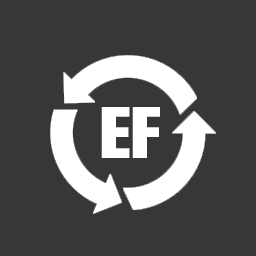 Also you can just disable electronic active EF mounting adapter so that protects it from all-metal lens backend. Check the compatible lens white list.